Remixes of 9 vintage mid 90s Godfather Don tracks, together with 3 interludes. Some remix projects don’t work – but this one definitely does! The Jazz Spastiks have come through with another dope selection of carefully crafted dusty beats that perfectly suit Don’s vocals recorded over 20 years. 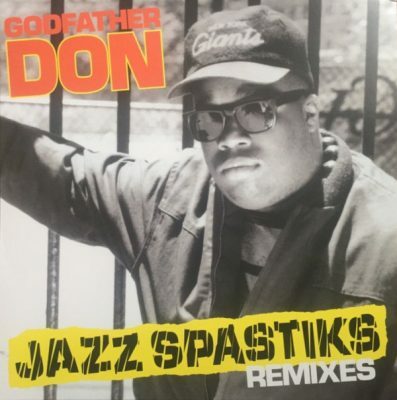 comment "Godfather Don – Jazz Spastiks Remixes (WEB) (2018) (320 kbps)"